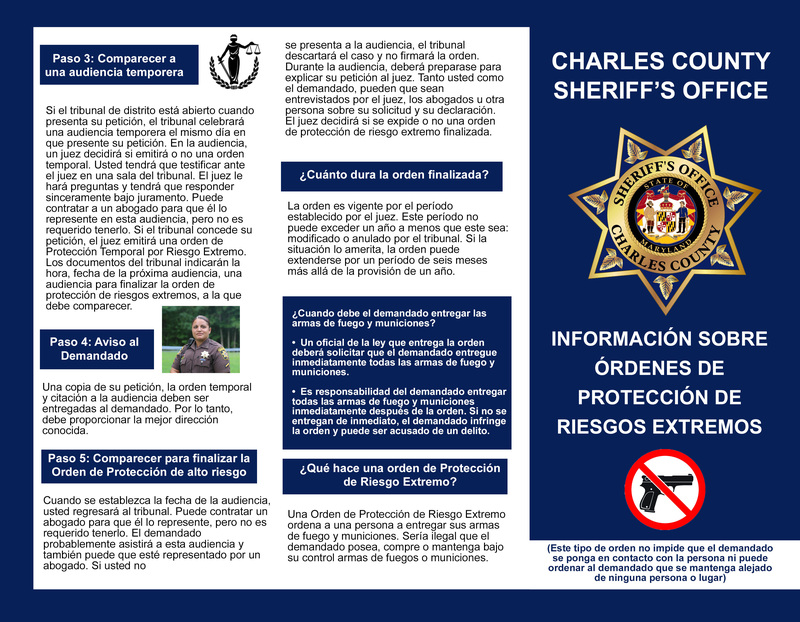 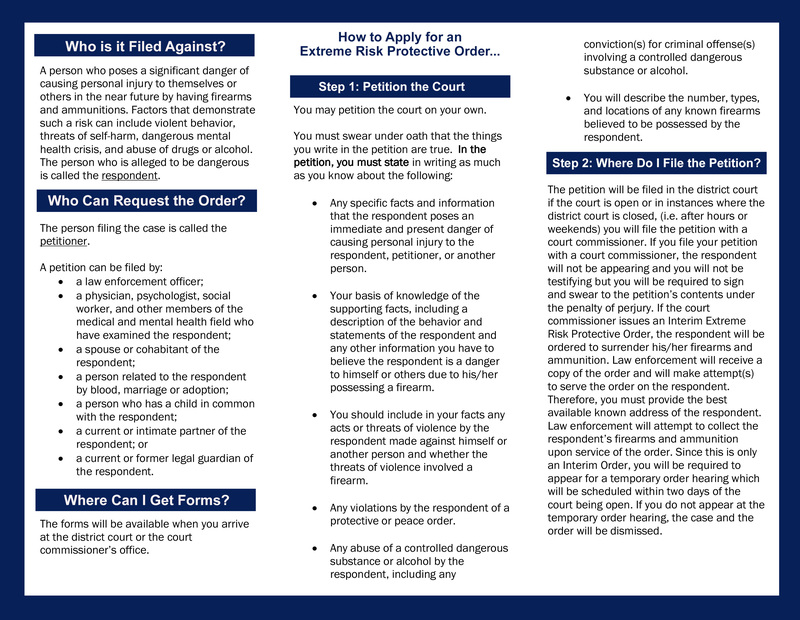 An Extreme Risk Protective Order (ERPO) directs a person to surrender their firearms and ammunition. 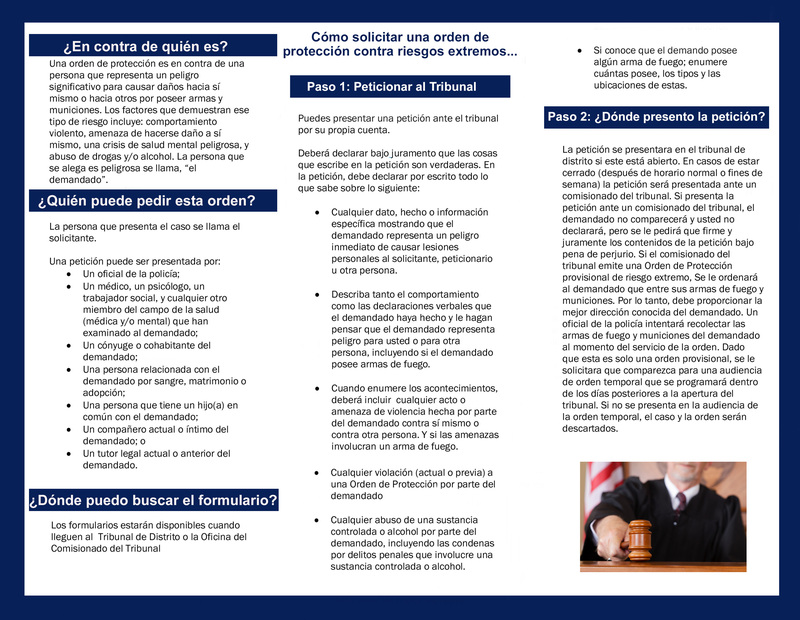 It would be illegal for the respondent to possess, purchase or have in their control any firearms or ammunition. 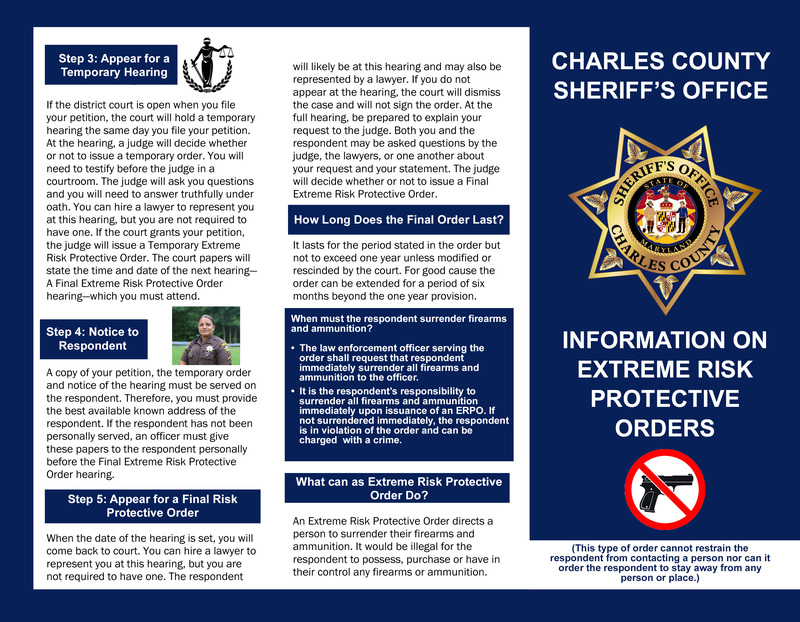 See below for information on how to apply for an ERPO.